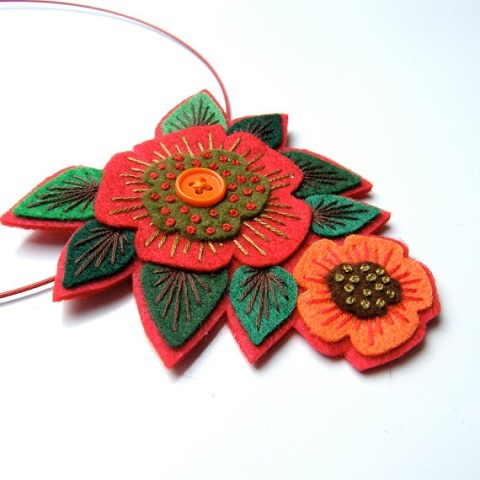 We may not immediately think of felt for jewelry but this material can really become gorgeous adornment in the hands of talented artisans. 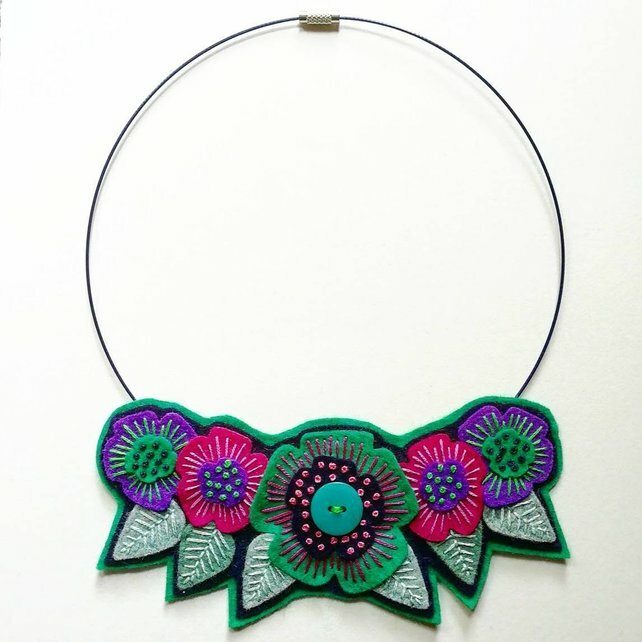 The vibrant pieces by Designed by Jane : Applique Originals on Etsy are wonderful examples of how less common materials can be made into striking jewelry. 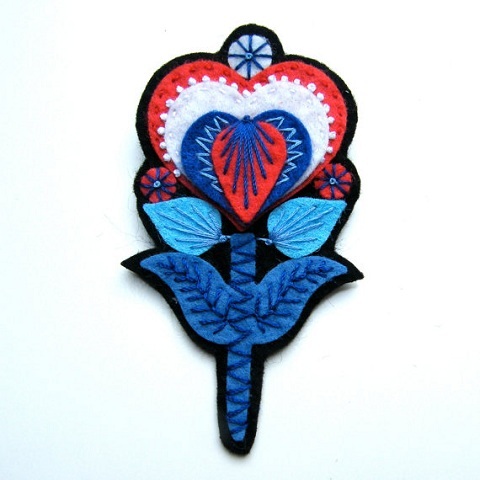 Jane, who hails from Newcastle-Upon-Tyne in northern England, has an uncanny sense of color and design. 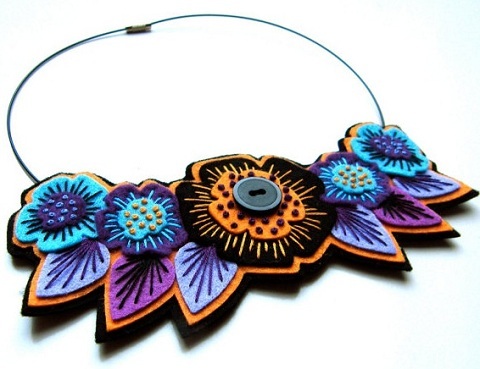 She builds up her felt shapes just so with the right touches of embroidery and buttons. Flowers are one of her most favorite design elements but she doesn't limit herself there. Being British, this is her limited edition Jubilee brooch in honor of the Queen's Diamond Jubilee celebration this year. 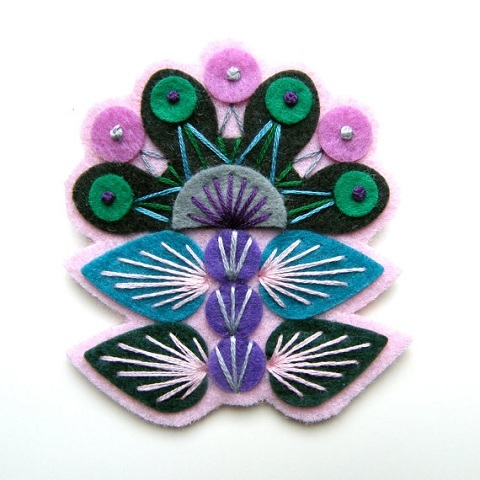 Brooches are easily her most favorite things to design. She has so many wonderful designs, that it was difficult to choose just a few of my favorites. It's no wonder she now sells her designs to galleries, boutiques and customers all over the world. 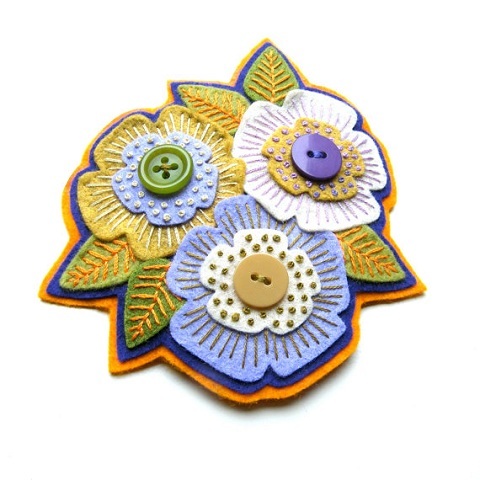 Great designer, I love her brooches. Her color choices are fabulous! Beautiful color combinations and such detail. I'm in love with Jane's little bird brooch, it is adorable. That bird brooch is the cutest thing ever... I love, love the brooches. The hair fascinator is also stunning. Beautiful, unique work! Love these. Beautiful designs and colors. Very detailed. 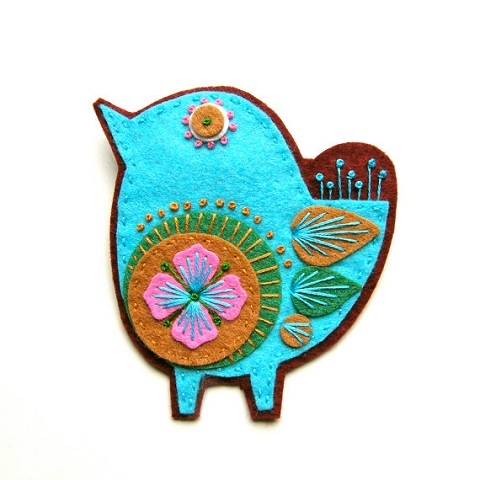 The little bird brooch is adorable. Love all the bright colors. Those are so cute! I would never come up with anything like that on my own. I really admire the creativity!